With the Golden Standees behind us, it’s time for ‘normal’ comics again! We’re trying to finish some campaign games we have laying around which we’re just playing with the two of us. 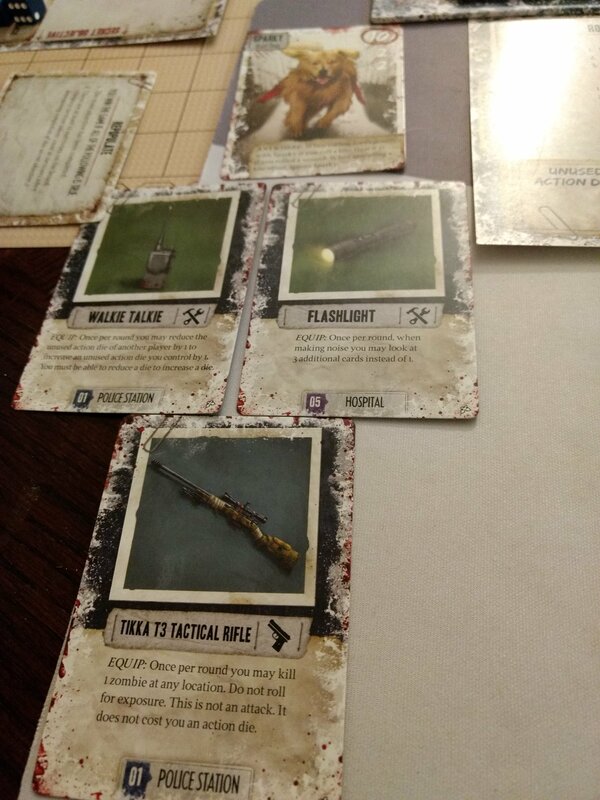 Finishing Legacy of Dragonholt felt good and we’ve paused our Arkham Horror LCG campaign in absence of the last scenario pack and so we decided it’s time to finish Mechs vs. Minions. We’re now down to the final mission! Which is looking like it will take us a few tries before we can beat it. After we’ve finished Mechs vs Minions it’s time for us the finally start playing the Tail Feathers campaign. And we still need to figure out with who we want to play Charterstone or if we want to play it with just the two of us, but we’re not sure if we’ll get a full game experience with just two players. Summing it up: we’ve been playing Mechs vs Minions, Pandemic Legacy Season 2, Kingdomino, Mysterium and Battlecon! Quite a varied menu of board games if I say so myself! I may have to buy a new version to play with the cats now…. Is the white box in Rachel’s hands symbolic for how see sees new games as blank shells compared to games of old? Or does see so many new games that they all blur together, so there is no reason to distinct them? Or does she sees game boxes as blank canvases? Or new legacy games as a starting point? Or did she forget to enable a layer in Photoshop? So many thoughts, so few panels, so many kitties. The back of the sticker sheets in Pandemic are white, but looking at it as a canvas full of possibilities (to make internet memes) is also allowed! 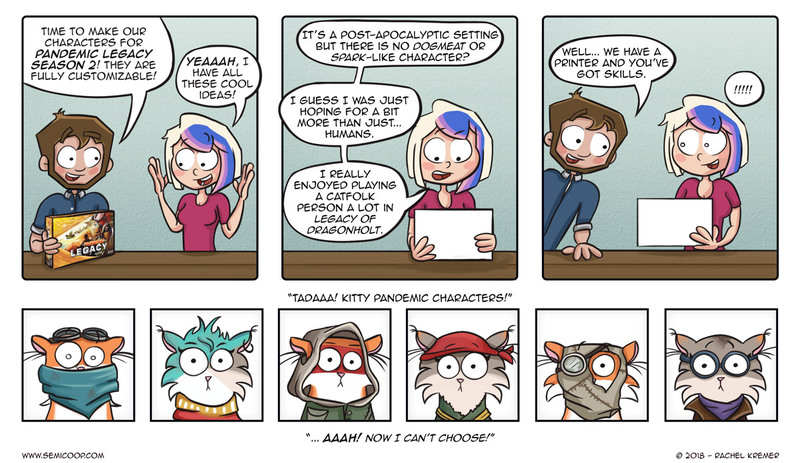 Umm… Is there a high-res version of the kitty pandemic characters available? Asking for, well, my daughters as we’re about to begin Season 2. D’aww, all those cats! I wonder whether they would really stay put to be drawn. Who’s an overpowered good boy? That’s right, you are! LOVE your blog and all posts!!!!!!!!!! Someone should poke Plaid Hat Games about “Cats & Mice & Mystics”, just sayin’.